I was diagnosed in February 2003 with Crohn's disease. 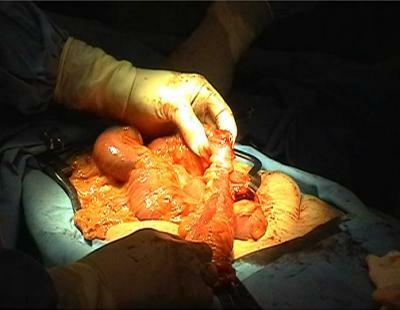 It showed on the biopsy that the doctor took and I also undergo a Hemicolectomy, the Sigmoid colon was been removed. 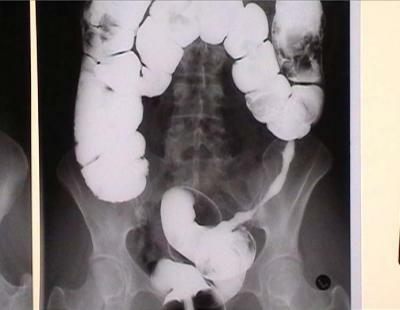 The Pathology results also showed Crohn's disease. After that I had trouble with my colon, cramps, bloating, diarrhea. I then went to a Gastroenterologist. He did several coloscopies on me and every one was clean. The last one was October last year. He said he think the laboratory made a mistake and that I haven't had Crohn's disease. I also started to drink aloe about 2 years ago and my colon is much better. I am confuse because the pathology results and the biopsies showed I had Crohn's disease but the doctor think different. Can it be that I am cured or that the Crohn's disease was only in the Sigmoid colon and that the ale also played a role. If you have Crohn's disease, it is unlikely that it would just disappear. Crohn's is an aggressive disease that can have devastating consequences on your health and your life in general. It is possible that the Crohn's disease may have gone into a period of remission as this certainly happens. Some people experience weeks, months or even years without any Crohn interference but then, the disease suddenly and without warning flares up. Diagnosis for Crohn's disease is always quite difficult. I know many many people who have been mis-diagnosed so this is possible. I know this must be frustrating for you as you need to know if you have it so you can treat it accordingly. I am a strong believer in natural health remedies although as Crohn's is incurable currently, I would still advise medication from the doctors whilst taking a holistic approach to lifestyle including diet and stress reduction. Aloe Vera can seemingly help to reduce the inflammation within the intestines and it may be that the Aloe Vera is working for you. It's widely known to be beneficial for so many health issues including pain relief and for healing wounds. It has not been scientifically proven however that it does work,and it can certainly have a laxative effect so be warned. I wish you the best of luck in obtaining your diagnosis and hope that you continue to be Crohn's free as such. Aloe vera is probably healing the inflamation in your colon and that's why none showed up. That's what it's supposed to do. Keep drinking it!!! Has anyone tried Aloe Vera for Crohn's Disease? 24 years after bowel resection I am once again having flare ups. The flare I experienced on Sunday brought me to my knees. I had pain in both my lower belly and in my back. I can handle alot of pain but not when it affects my back and stomach both. I actually work for an aloe vera company in Melbourne, Florida and know that Aloe is good for both the outside and insides of people. I have decided to experiment on myself. I started taking one oz. of aloe vera 10x after my meals. When I should have been in pain an hour after eating... it didn't happen and no diarrhea. I had very low rumbling sounds in my intestines last night but the pain never set in. Praise the Lord for that one! I will contine to take the aloe after my meals and see if I continue to get the same response. I can handle the rumbles as long as I'm pain free. Aloe has been used for centuries for it's healing powers and now I'm hoping it can help me when I do get flare-ups. I will continue to report my progress on here. I am not trying to get anyone to purchase our aloe!!!! We are actually the manufacturer of aloe in bulk as gels, powders and liquids. We sell to the people who add our aloe into their products and market them. We do not sell a finished product. Has anyone ever tried this? If so, what was your outcome? my son is suffering from crohn's disease for 10 years now and had surgery twice, i like to know if aloe very jel and clay is good for him? Could anyone answer me? I am very worried for him and i can't live comfortable life. I was diagnosed in February 2003 with Crohn's disease. It showed on the biopsy that the doctor took and I also undergo a Hemicolectomy, the Sigmoid colon was been removed. The Pathology results also showed Crohn's disease. After that I had trouble with my colon, cramps, bloating, diarrhea. I then went to a Gastroenterologist. He did several coloscopies on me and every one was clean. The last one was October last year. He said he think the laboratory made a mistake and that I haven't had Crohn's disease. I also started to drink aloe about 2 years ago and my colon is much better. I am confuse because the pathology results and the biopsies showed I had Crohn's disease but the doctor think different. Can it be that I am cured or that the Crohn's disease was only in the Sigmoid colon and that the aloe also played a role. If you have Crohn's disease, you will always have it. That's a hard and sad fact. It's incurable - at the moment. There is much research into this disease and there are many types of medications and remedies. Some people find fish oil useful, some meditation, others, like yourself have tried Aloe Vera. There are many positive reports about Aloe Vera and if it works, then carry on taking it. It can certainly help to ease inflammation. Some people report it can cause diarrhea because it acts as a laxative. It can also work to boost an immune system but you must be careful of this if you have Crohn's. Crohn's immune systems can be over-active and this works against the body. You can try omega 3 fatty acids too if you like fish. Try salmon, herring, sardines, mackeral - they can also help with joint pain. It is believed that fish oils can ease intestinal inflammation. I am so glad that your Crohn's is under control at the moment. Do ensure you do not eat any trigger foods, you reduce stress, and you live as simple as life as possible. Do understand that the Crohn's can flare-up again but in the meantime, keep doing what you are doing if it works. I have had the blood test that is sent to California, it came back negative. I don't have diarreah or constipation, but I was hospitalized for a blockage and a perpheration in my small bowel. My Doctor still says I have crohns disease despite the test from Cali. being negative. To battle my symptoms (I was literally, slowing dying), I was convinced by a family member to start taking high doses of aloe vera. After months, I did not get any better. After a visit to the Mayo Clinic and a long surgery, I am symptom free (for four years now) and feeling great. Following the surgery, I was told by my wonderful doctors at the Cleveland Clinic that my thyroid gland was destroyed by the aloe vera supplements. I'm not on anything for the Crohn's but instead have to take Synthroid. Don't take these crazy supplements. Get yourself to a GREAT doctor at a major teaching hospital (not a local yokel) and enjoy your life again. You need a 2nd opinion. Aloe Vera has been showing great assist in Crohns disease, along with proper diet. The Aloe Vera results are basically unknown but people who use it swear by results ... all positive. I have read several articles on aloe and crohns. I am going to get some today and give it a try. I too, have had difficulty with diagnosis. Seems that every doctor that saw me there for a time came up with something different. My current GI said there is a blood test for crohns but that it must be sent to California. Has anyone heard of this? Anyway, I am waiting for my results. I will try to remember you and let you know how this came out. Aloe Vera has long been considered a miracle aid as it can be beneficial for so many conditions and people report great benefits. It can have side-effects however including diarrhea and abdominal cramps. It may interfere with medication too and is considered to be connected to electrolyte imbalances and dehydration as well. As such there are reports that for those who have ulcerative colitis or crohns,should not use Aloe Vera. It works as a laxative which can also reduce the chances of your medication being absorbed. Some sufferers with Crohns disease swear by it however, so it really is a personal decision as to whether to try it.